Scroll down for a colorful selection of Free Downloadable Clipart. 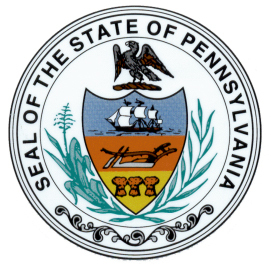 This page features a collection of official state seals for several U.S. states. Just right click on any image that catches your eye, then save it to your photo file for future use. 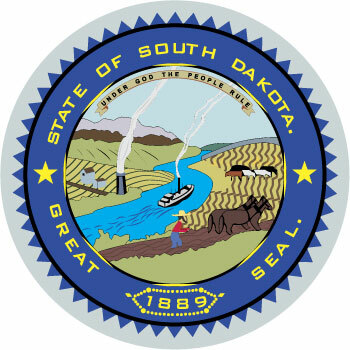 A state seal is an official emblem whose features are supposed to symbolize the state it represents. 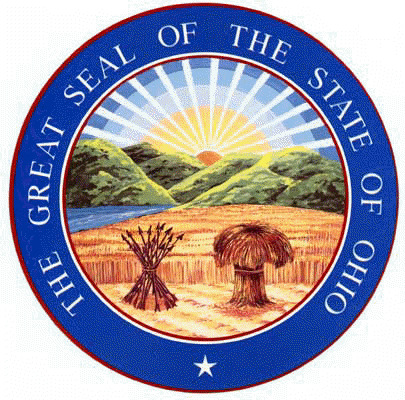 Ohio's seal, for instance, features the Scioto River separating cultivated fields from Mount Logan. A sheaf of wheat in the foreground represents agriculture. A bundle of 17 arrows symbolizes that Ohio was the 17th state to join the Union. 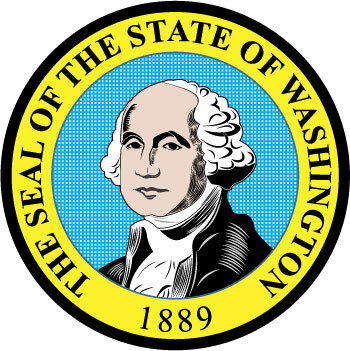 Some states have more than one seal. 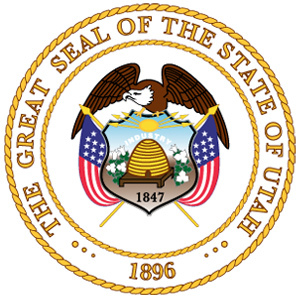 These pages show each state's most recently approved state seal. 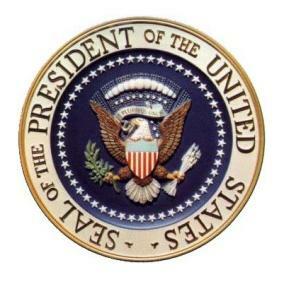 Pictured above is the official seal of the United States. Fields of wheat, Scotia River, Mount Logan and the rising sun. 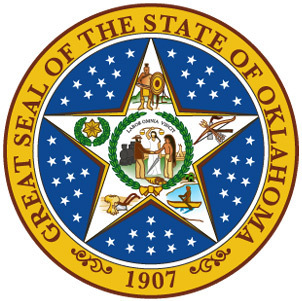 the Choctaw Nation, Seminole Nation, the Creek Nation and the Cherokee Nation. 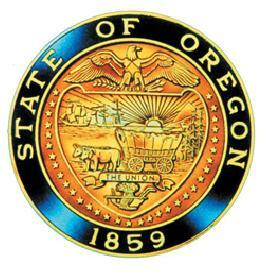 above a shield with symbols of ships and covered wagons. A ship, a plow, and three sheaves of wheat. 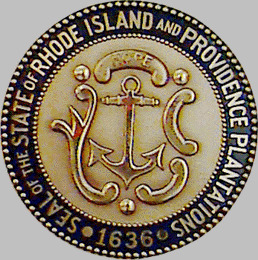 This state seal displays a maritime motif, with a ship's anchor as the centerpiece. 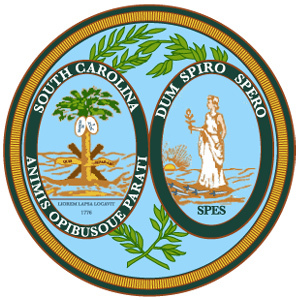 Palmetto Trees and a woman (symbolizing hope) walking on a battle-torn shore. the mining and farming industries. 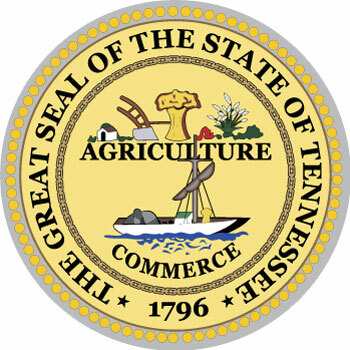 Symbols of agriculture and commerce. 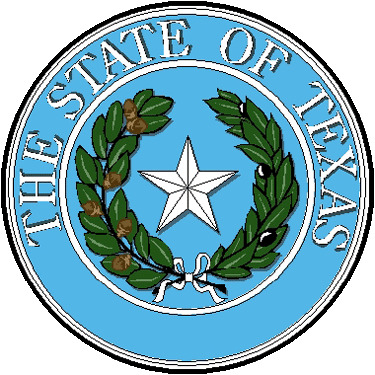 A five-pointed star flanked by two branches - an olive branch and a live oak. An eagle, a beehive, and two crossed arrows flanked by U.S. flags. Wavy lines suggesting sky and water. Four sheaves of wheat. A cow, rolling hills and forests. The Roman goddess Virtus stands over a defeated opponent. 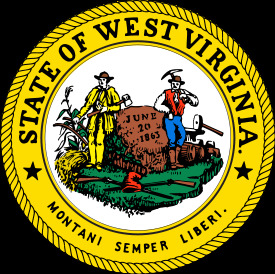 She represents heroism, righteousness, freedom, and valor. 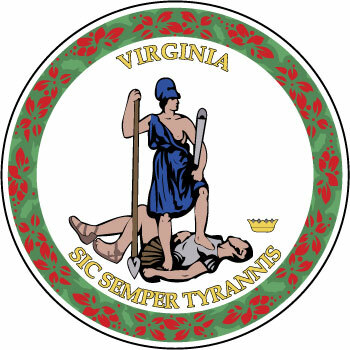 for the design of this state's official seal. 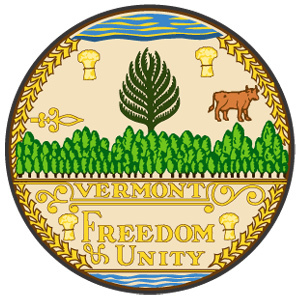 A large boulder in the center, symbolizing strength. Two rifles crossed in front of the boulder are draped with the Liberty Cap. A farmer with his ax and plow stands before a cornstalk. A miner lugs his pickax. Behind him are an anvil and sledge hammer. 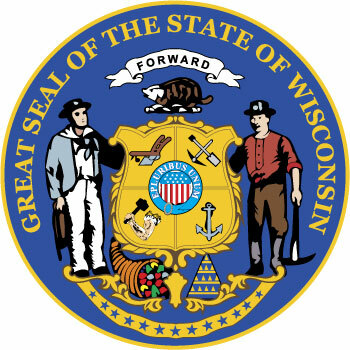 State symbols shown here include a miner, a badger, a cornucopia, a plow, and an anchor. 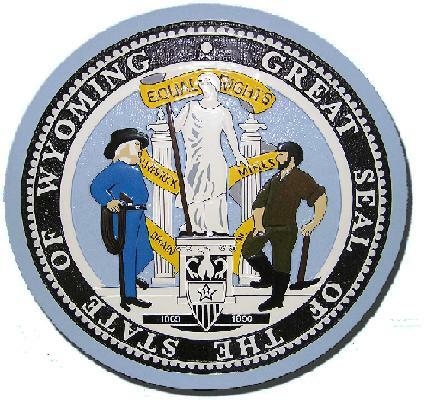 Central female figure pays tribute to Wyoming's early advocacy of equal rights for women. For more Free Downloadable Clipart and other clipart designs, plus a broad assortment of images, recipes, and other free printable items, visit any of the links shown on this page.